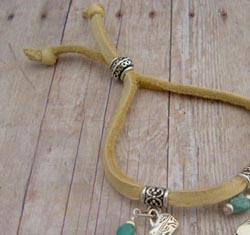 Butter soft, modern, and makes a simple statement. 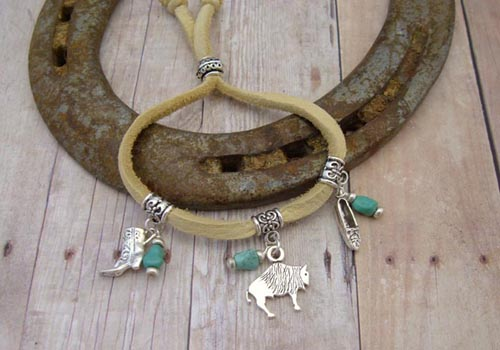 This Designer Western Jewelry Bracelet will always bring a complement. 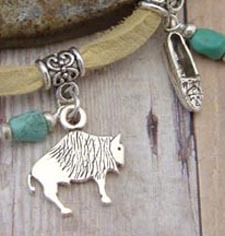 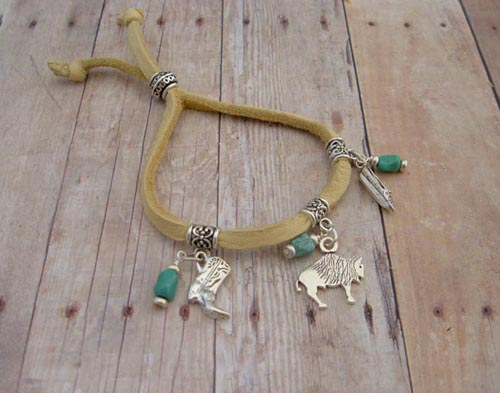 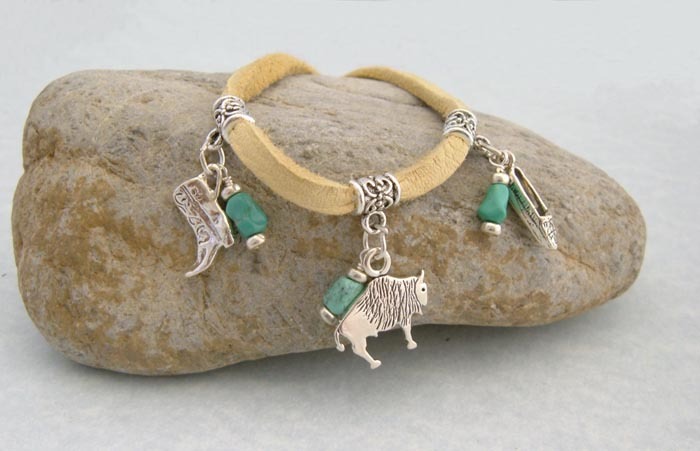 Made of butter soft deer skin leather, it holds 3 Native American sterling silver charms with turquoise bead accents. 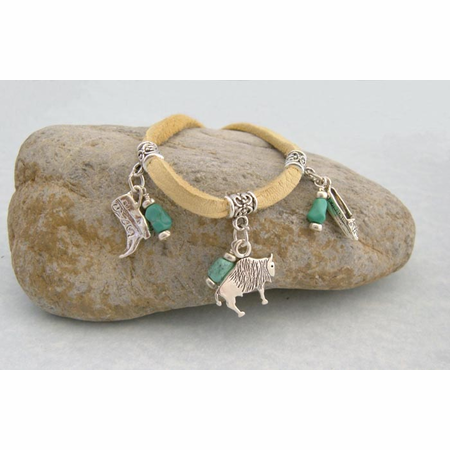 This designer bracelet is adjustable to a size 8 with a silver bead. 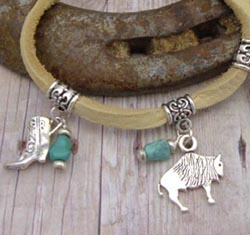 Leather, Sterling Silver and Turquoise.